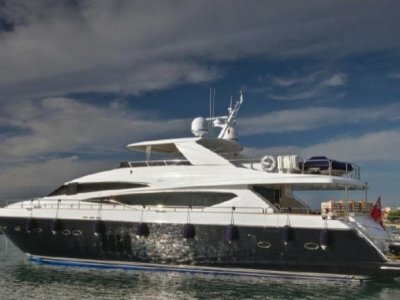 UK £4,500,000	reduced Need Finance? 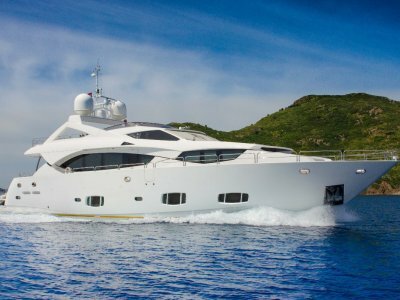 UK £4,500,000	reduced Need Finance? Need Insurance? Bring offers. She needs to be sold before summer. This 101' sports yacht boasts a bold black-and-red colour scheme and a pirate theme, including a red pirate-flag skull decal on her black hull. 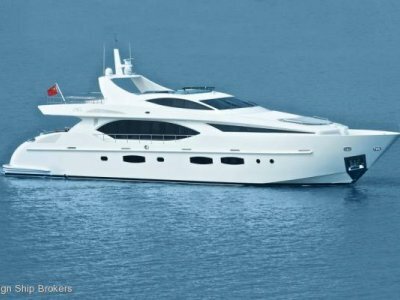 The standard layout for the Sunseeker 101 Sport Yacht will provide accommodation in four lower deck guest cabins with en suite bathrooms, including an amidships full beam master suite and a forward VIP, and accommodation for up to four crew members. The guest suites are flooded with natural light thanks to the huge windows. 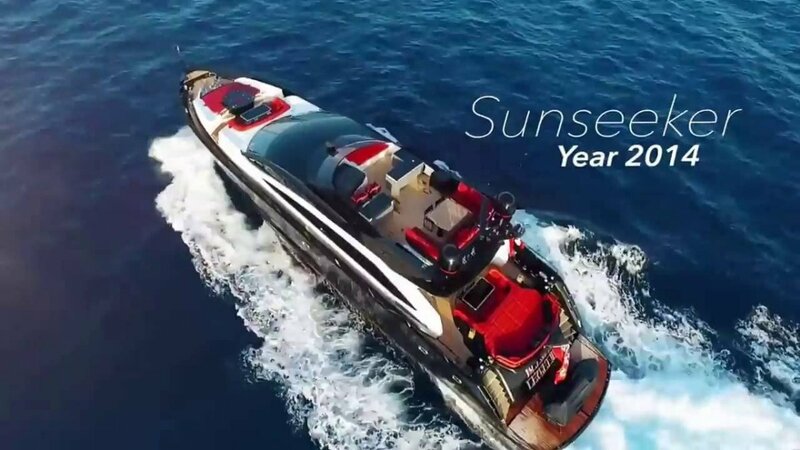 Black Legend's customised pirate theme demonstrates how the Sunseeker 101 Sport Yacht series can be tailored to meet an owner's brief. 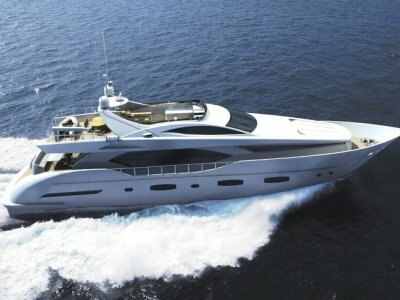 Contact our team of Luxury Yacht Experts today on +617 5532 1122. Do not delay or you will miss out. SALOON: The main deck features a large lounge settee, as well as a dining table that is situated behind the central three seat helm station.